Mr.Saddek Omar Elkaber, Governor of the Central Bank of Libya held a meeting on Sunday 28-10-2018 with the board of directors of the National Oil Corporation, Attendees were Mr.Mustafa SanAllah, Chairman of NOC, some consultants and a number of managers and employees of the company. 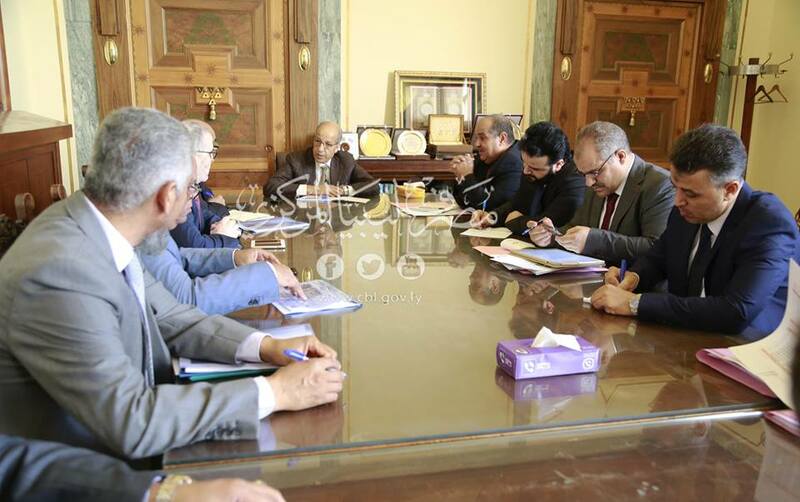 The plan of NOC for production development was shared during the meeting, besides discussing the prospects of the budget prepared by the National Oil Corporation for year 2019, as Mr.Mustafa SanAllah ,Chairman of the board of directors of the company discussed the most important challenges and difficulties facing the corporation in various financial and technical fields. 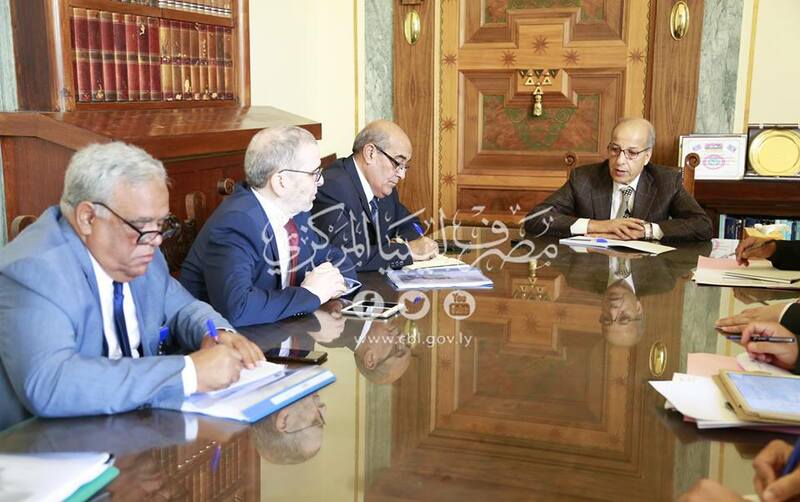 The Governor assured during the meeting that the Central Bank of Libya will fully support the national oil corporation as it’s considered the only resource and the main supplier for the general budget, confirming the continuance of CBL in providing all possible support for NOC in order to overcome difficulties and raise the productive efficiency.